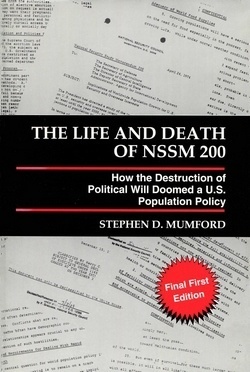 Adapted from chapter 16 of our chairman Dr. Stephen D. Mumford’s seminal book, The Life and Death of NSSM 200: How the Destruction of Political Will Doomed a U.S. Population Policy (1996). The book is available at Kindle here, and is available to read for free here. We are all exposed to a flow of information pointing toward the gravely threatening problem of overpopulation. But for over two decades now, surprisingly little concern for the gravity of the problem has been exhibited except by a small group of people in the field, and more recently by a growing number of environmentalists. Since the early 1970s, observers in the field have recognized that there is also a steady flow of disinformation. But they have had little reason to think that this flow is organized in any fashion, or organized and motivated by any particular institution. There are a number of individuals who have excelled in what could be called “disinformation enrichment.” Three in particular come to mind: Herman Kahn, Julian Simon and Ben Wattenberg. 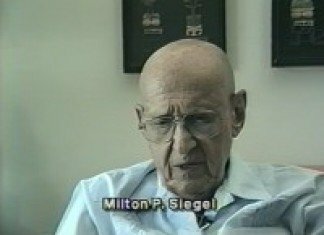 None of them had gained distinction in the field before suddenly finding themselves at the center of the world stage disputing the work of thousands of scientists who had collectively concluded that the world is in deep trouble because of its unprecedented and uncontrolled population growth. Herman Kahn was the first of the three. I remember watching in the 1970s with amazement as he would offer one unsound argument after the other, outrightly ignoring all of the best data available. All along I wondered how it is possible that this man would be given this incredible world platform from which to speak. How could he be taken seriously by the media, when he was scoffed at by the world scientific community? He was almost completely alone. It just did not make sense. Next, along came the publication of an article by Julian Simon titled “Resources, Population, Environment” in Science in 1980. This article dismissed the idea that the world has a population problem. That this article could appear in the most prestigious scientific journal in America was astounding. This article had nothing to do with science and was based on fiction as much as fact; it was a dishonest attempt to undermine the argument that the world has a population problem. The article was met with disbelief in the scientific community. Then, along came Simon with his book, The Ultimate Resource, in 1981. Simon attempts to make the case that it is not possible to have overpopulation; that people are the ultimate resource, and the more the better. Simon is an economist. In this book, Simon intermingles fact with fantasy throughout and misrepresents his material as fact. It was one misrepresentation of reality after the other. Simon was ridiculed by the scientific community. I could not believe that Princeton University Press had published this book. How could Simon have possibly placed this book with this publisher? This was a very serious setback for the population growth control movement. Princeton University had put its prestige behind this intellectually dishonest treatment of the issue of population growth. At this point it became clear to me that there had to be corruption involved in the publication of the Science article and of the book as well. To corrupt these institutions takes a lot of influence. Who has the motivation to corrupt in this way? The institution with the most to gain by publication of these fantasies is the Vatican. Is it capable of such corruption? Certainly, if the stakes are high enough, the history of the institution suggests that they will stop at nothing. With the publication of his article in Science and his book, Simon found himself at the center of the world stage. His articles and his message began to appear everywhere in newspapers and magazines. For example, in June 1981, he published a lengthy article in the Atlantic Monthly magazine, with the theme that nature is boundless. Then in August, 1981, he published another lengthy article in the Atlantic Monthly attempting to make the case: the more people the better. He became a sought after public speaker and appeared often on television and radio. No one had ever done so much to undermine public confidence in the argument advanced by the world’s scientists that humanity faces a serious overpopulation problem. Years of scientific education went down the tubes. Of course, we would all like to believe that overpopulation is not a serious problem. 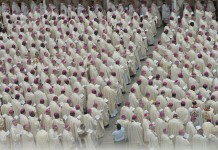 Simon’s position, the Vatican’s position, caught on like wildfire. Simon’s work and its apparent widespread acceptance by “scientists” caused great confusion which persists today. Not enough people realized that Simon’s support came almost entirely from the religious right. Simon wrote his book while at the University of Illinois at Champaign-Urbana. 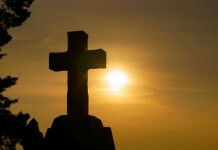 While he was there, support of his work on his book came from the Heritage Foundation, a Vatican-leaning organization created in line with the bishops’ Pastoral Plan. Simon was a visiting fellow at The Heritage Foundation when he headed a 21-member panel of “scientists” commissioned by Heritage to re-examine the 1980 Global 2000 report, which President Carter had ordered the State Department and Council on Environmental Quality to prepare, exploring probable changes in the world’s population, natural resources and environment through the end of the century. The report, issued after a year-long study, expressed deep concern about continued rapid global population growth and its contribution to the depletion of natural resources and destruction of the environment. Simon released the Heritage panel’s findings at the 1982 annual meeting of the American Association for the Advancement of Science, chalking up another remarkable Vatican accomplishment. In 1984, Simon teamed up with Herman Kahn to place a book with the scientific publisher, Basil Blackwell. This 585-page book was devoted to refuting the Global 2000 report. Maybe the Heritage Foundation has finally gotten rid of Julian Simon after all. He has now started his own group, written up in the enclosed column. Patrick Burns, our director of research and publications, has called the new group’s telephone number and discovered that it is housed in an exclusive girls’ finishing school financed by Opus Dei—an extremely right wing Catholic organization. I doubt that we’ve heard the last of Julian. His “partial list of general goals” includes: “Educate the public to the good news that the physical limits of our environment are receding rather than advancing…. Publicize such scientific findings as those which indicate that in the long run, on average an additional human being increases the standard of living of other people rather than detracts from it, and that there is no connection between population growth or size or density and the propensity of countries toward war and violence. These findings contradict assertions without supporting evidence by the U.S. State Department and the CIA, assertions apparently made simply because they seem reasonable.” Perhaps Simon is referring to NSSM 200 here. Simon lists specific planned activities: “Issue a series of articles, written for popular reading at the level of magazine articles or newspaper op-ed pieces, dealing with various aspects of our subject…. This series will be sent to our list of newspaper and television journalists who cover population and the environment, many of whom we believe to be interested and who may diffuse our message.” We must assume that he is referring to the Catholic journalists Pope John II referred to in addressing the International Catholic Press Union and the International Catholic Association for Radio and Television in his message, “Mass Media Need Catholic Presence,” referred to earlier. This statement is most telling. For some who have closely followed letters-to-the-editor and op-ed columns in several different newspapers for the last decade or two, it has been evident that an organized campaign advancing the Papal position on population and abortion has been underway for a long time. Simon refers to that highly successful campaign here. Unfortunately, most readers are occasional readers and have not recognized this fact. The language used by Simon identifies his employer. His repeated use of the term, “value and sanctity of human life,” is rather suggestive. However, more conclusive evidence is evident in his list of persons he says “have indicated their desire to be associated with the project.” This list includes Judie Brown of the American Life League, as well as representatives of the American Enterprise Institute, The Rockford Institute, The Cato Institute, and The Heritage Foundation—all of which are identified with the Religious Right and emerged in response to the Pastoral Plan—and Georgetown University. The highly sophisticated and prolific propaganda machine created by the bishops, which includes Simon’s organization, has been effective in creating illusions which serve to counter the realities we all see with our own eyes. These realities would, in the absence of Vatican inspired propaganda, be used to make decisions to support a more effective response to the overpopulation threat to American and world security. Today, the pope is winning this war because the massive propaganda efforts on his behalf have confused the American people. Such propaganda has killed the American political will to confront the population problem. But, given the stakes for the Vatican, we should not be surprised. With propaganda machinery in place, the Vatican set out to create many wrong perceptions, serving to undermine the scientific consensus that world overpopulation is a grave problem for the U.S. These wrong perceptions and illusions, of course, serve as obstacles to a constructive response. Why? The constructive responses almost always include controls on population growth and immigration, threatening Vatican survival. 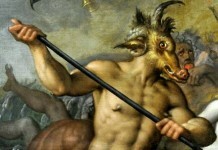 By turning Earth in to Hell, the Catholic church leaves humans no option but to embrace afterlife and "heaven".